Looking for a more fuel efficient driving opportunity? Look no further than a Mercedes-Benz diesel vehicle. Diesel vehicles are losing their stigma of being loud, smelly, and slow. Today's Mercedes-Benz clean diesel options are more efficient, quieter and have available fuel. To support this surge in clean diesel buyers, Mercedes-Benz is planning to double its diesel offerings in the United States. 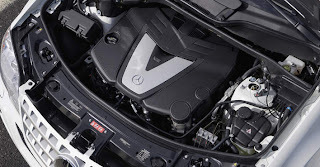 Reportedly, customers who drive a Mercedes-Benz diesel vehicle are so pleased, Mercedes-Benz officials say that these customers are sticking with clean diesel vehicles and not switching back! For the latest in BlueEfficiency, Mercedes-Benz of Lynnwood can get you rolling in a diesel option from Mercedes-Benz.